Brighton striker scores twice as Israelis struggle to beat minnows in World Cup qualifier in Jerusalem. Israel kept alive their hopes of securing a top-two finish in their 2018 World Cup qualifying group after they beat Liechtenstein on Sunday evening. Liechtenstein have only won two of 52 previous World Cup qualifiers and their chances of making it three looked over after just four minutes, when Tomer Hemed headed them ahead, with defender Max Goppel on the goal line unable to keep out the Brighton & Hove Albion striker’s powerful effort. 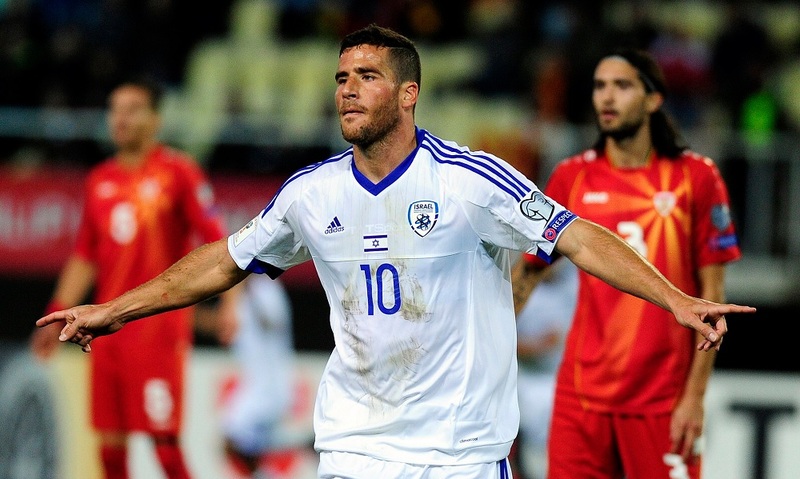 Coach Elisha Levy played an attacking-minded side and it got even better in the 16th minute when Hemed, who had scored on Thursday evening against FYR Macedonia, doubled his – and his country’s lead – as he found himself unmarked eight yards out, and headed, via his back, Tal Ben Haim II’s inch-perfect cross past the helpless Peter Jehle in the visitor’s goal. In buoyant mood, the home side peppered the visitor’s goal with a number of long-range efforts, with Ben Haim II coming withing inches of making it three, when he struck the post following another slick Israeli move. 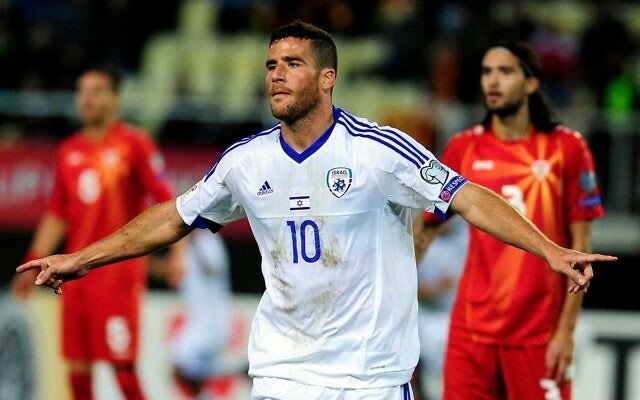 Almog Cohen was then denied his first international goal and from the resulting corner, Ben Haim’s near-post flick was nearly converted at the far post. David Goresh in the Israeli goal was finally called into action, producing a smart stop from Nicolas Hasler on the half-hour mark, before Eran Zahavi was denied minutes later at the other end. The second half was only two minutes old when Hemed came within inches of claiming his hat-trick, though his header from Zahavi’s cross crashed back off the post. That miss looked even more costly when just minutes later, Liechtenstein halved the deficit, when defender Goppel brilliantly flashed home a volley from Hasler’s neat-cut-back. The goal gave the visitor’s renewed confidence, and made the home crowd more nervous, though Ben Haim II was continuing to offer a threat with a serious of in-swinging crosses which the visitors struggled to deal with. Israel nearly threw away their lead when Goresh’s poor goal kick eventually found Franz Burgmeier, though the goalkeeper made up for his error by producing a smart stop, before a fan threw on a second football which caused the referee to halt the play. Hemed’s chances of netting a treble were ended 15 minutes from time when he was substituted and replaced by Roi Kehat and as the clock ticked down, whistles started to resonate from the stands. Rami Gershon needed to be at his best to deny Simon Kuhne with a perfectly timed sliding tackle to deny the substitute as he ran into the Israeli penalty box and as the visitor’s grew in confidence, they won a succession of corners, which on the main, Goresh dealt with. Israel hit the woodwork for a third time with two minutes left, when Zahavi struck the post with a ferocious shot from an acute angle, though they saw out the three minutes of injury time to hang onto a win which was met by boos from the crowd at the full-time whistle. In the group’s other fixtures, Spain were comfortable 2-0 winners in Albania, while Italy fought back from 2-1 down to score a last minute winner in their 3-2 win in Macedonia.